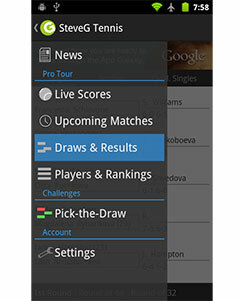 It’s crunch time for Petra Kvitova (Player Profile) and Angelique Kerber (Player Profile) as they face off at the WTA Championships 2013 in Istanbul today. Check out the Kvitova v Kerber Head to Head. The winner of this clash will join Serena Williams as a Red Group semi-finalist. With the American winning all three of her matches and Agnieszka Radwanska losing all of hers, either Kvitova or Kerber will finish the round robin stage with two wins and one loss. A place in the last four would be a remarkable, and surprising, achievement for Kerber. She hasn’t had the best of seasons, failing to get beyond the fourth round of a Grand Slam and only really coming to life in the last couple of months, with a run to the Tokyo final and a title in Linz securing her participation in Istanbul. Earlier this week, some even wondered if she fully deserved her spot at the elite event: she mounted little resistance against Serena on Tuesday, laughing ruefully with her coach during a changeover and mentally checking out of the last couple of games. Yet the German was in brilliant form against Radwanska yesterday. With the Pole uncharacteristically error-prone, Kerber kept up the pressure with excellent retrieving and pinpoint groundstrokes. She has sometimes struggled to generate pace when playing Radwanska in the past, but on Thursday night the 25-year-old was the one in command, winning 89% of her first serve points and converting four of five break points during a 6-2, 6-2 drubbing. While Kerber enters Friday’s match with momentum, Kvitova will be attempting to rebound from her loss to Serena. What began as the most highly anticipated match of the tournament so far soon turned into a masterclass from the world number one. Kvitova played well, hitting deep into the corners and creating incredible angles, but Serena was simply too good, running down every ball and, more often than not, returning it with interest. 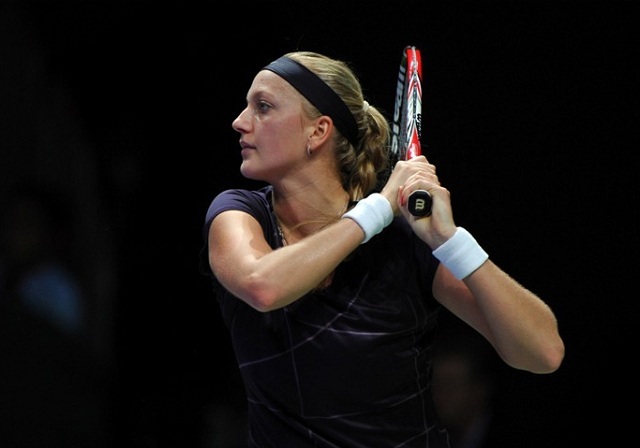 Given that she was playing Serena, Kvitova is unlikely to have been too upset by the 6-2, 6-3 loss. She’ll return to action determined to make the semi-finals and knowing that she has enough game to overcome Kerber. The pair have split their four previous meetings, but Kvitova won the most recent, a topsy-turvy affair in the Japan Open showpiece. On that occasion, the Czech recovered from a second set bagel to win in three, proving that no matter how perilous the scoreline, she can never be counted out. Kvitova has the upper hand when it comes to serving (she has fired down 100 more aces than Kerber this year), power and volleying. Although she didn’t manage to come in much against Serena, she was ruthlessly efficient at the net in her match with Radwanska earlier this week. If Kerber lets a ball drop short, Kvitova will not hesitate to charge forward and punish it. But we shouldn’t underestimate Kerber in this one. Successful counterpunching will be the most obvious route to success, but she is more than just a human backboard, with a sharp lefty serve of her own and a formidable forehand that she can unleash at any moment. Prediction: if Kvitova suffers a letdown and has one of her notorious “off days”, Kerber will get through this one in straight sets. But Kvitova hasn’t played a truly shoddy match in months, and she knows she has a great opportunity to end her season on a high in Istanbul. Expect a display similar to that she produced against Serena, but with the opposite result. Kvitova in three.